The big day is here!! We have been away for awhile but we're BACK with our Spring Summer 2017 magazine, The Love Issue. Oh how we've missed talking all things love, weddings and marriage with you. If you ordered a hard copy, don't worry it will be on the way and in your hands soon. We are so excited about our return that we wanted to get this to you as soon as it was ready. So enjoy your digital copy. Didn't order yet? Don't wast any more time, get your copy today. All You Need to Know To Plan Your Wedding is Here! This magazine has everything you need and a few new things too. 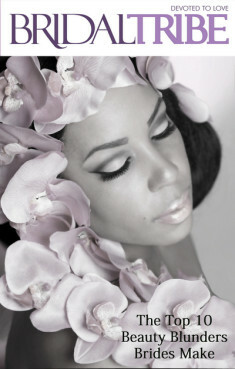 Our new column “Ask Joya” with Joya Smith giving you advice on all things Bridal Showers and Design. DIY Brides: Identify your wedding style with Krystal Williams of Doable You. Wedding Vow Books to help you write your Wedding Story. The most exquisite gowns from the Pollardi Group,Catherine Kowalski Bridal, Amalee, and Noya Bridal. 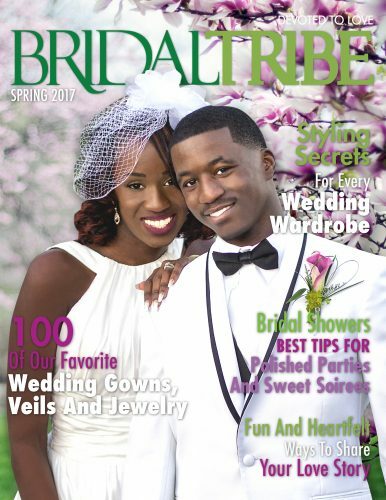 For our #FitBrides we talk with Certified Fitness and Nutrition Specialist Terence A. Hutchinson for fitness tips and recipes, Getting Healthy and Fit For Your Wedding. Keeping it real about being a wife is Tanya Barnett letting us know that Being A Wife Ain’t Always Cute. The New issue of magazine has been published so don't miss out. Get a sneak peek of the fantastic professionals featured in this issue. We are Devoted to Love!